From March to now the best tunes in “one hour” chart! The collaboration between The-Zone and the axis Richter-Japan continue with this new Techno production. 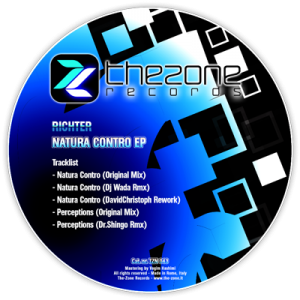 The two originals track “Natura Contro” and “Perceptions” by Richter, are an example of the great compositional technique and the continuous experimentation of Richter that adds to the classic style of dark-techno a groove nicely, where pads are supported by deep mental and consists of a rhythmic and percussive elements with voices almost imperceptible . Dj Wada completely distorts “Natura Contro” through riffs and melodic sounds coming from the culture of video games with the addition of samples of classic old school techno. DavidChristoph accentuates the darker part in a more European style with a more sustained rhythm where the voice accompanies the journey of pads. To close Dr.Shingo with his “Perceptions” remix, emphasizes the mental part of the art of Richter through a much more minimal interlocking rhythms powerful. 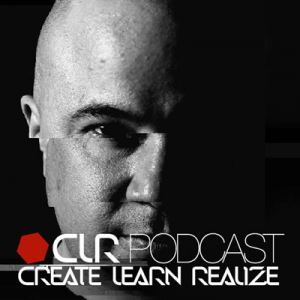 An EP not to be missed, with a techno of real quality ! + a Very special set for our listeners.